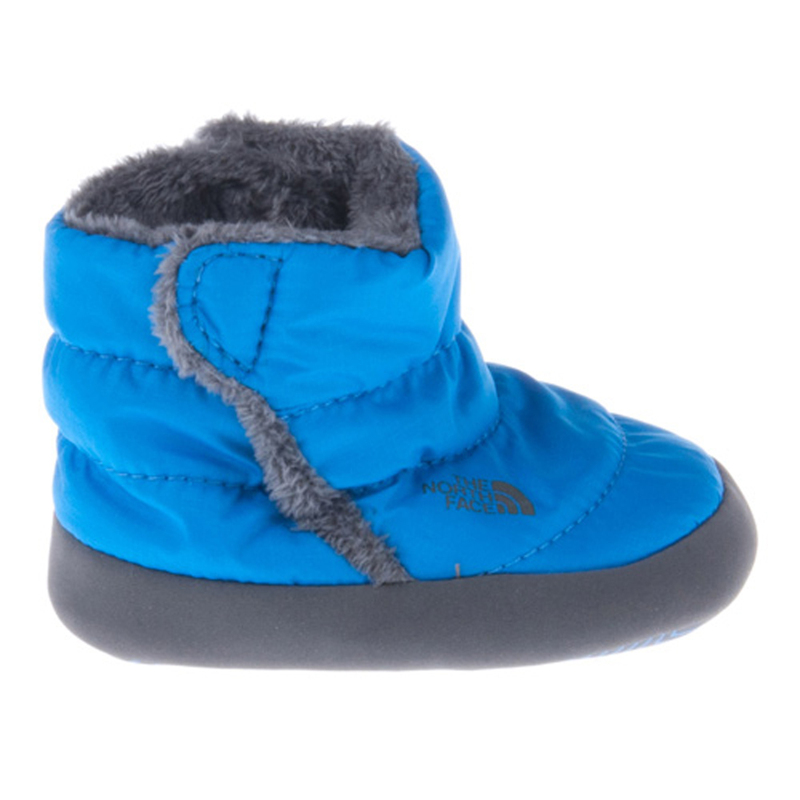 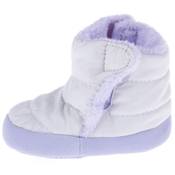 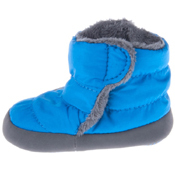 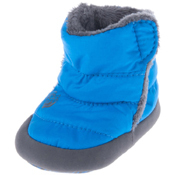 These cute lil North Face booties are designed to keep your baby going, no matter what the weather condition brings! 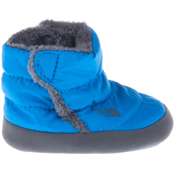 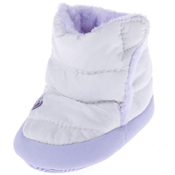 With their fleece lined insides and durable Nuptse nylon, your babys feet will never be chilly! 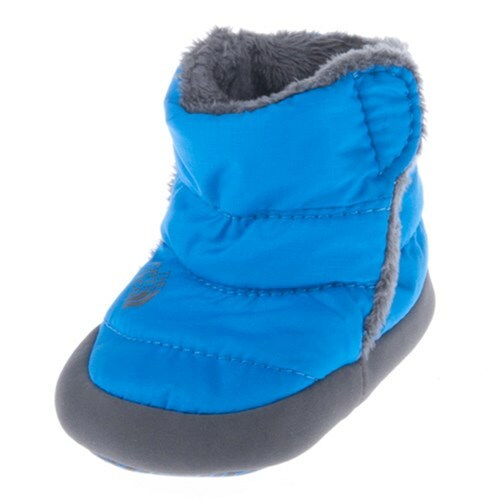 North Face has created the bootie with a higher instep to ensure an easy slip on, and they have designed the bootie to have a velcro on and off strap! 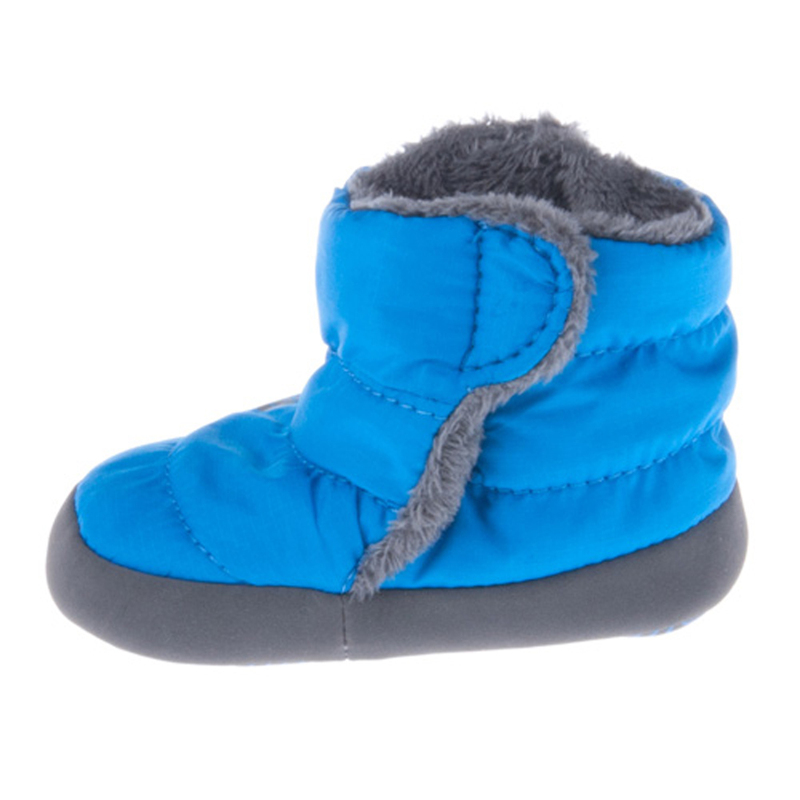 This way there are no excuses for not taking your infant out and about to enjoy the world with you! 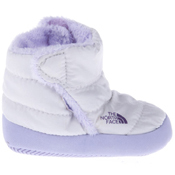 You would not be disappointed with a pair of North Face booties!